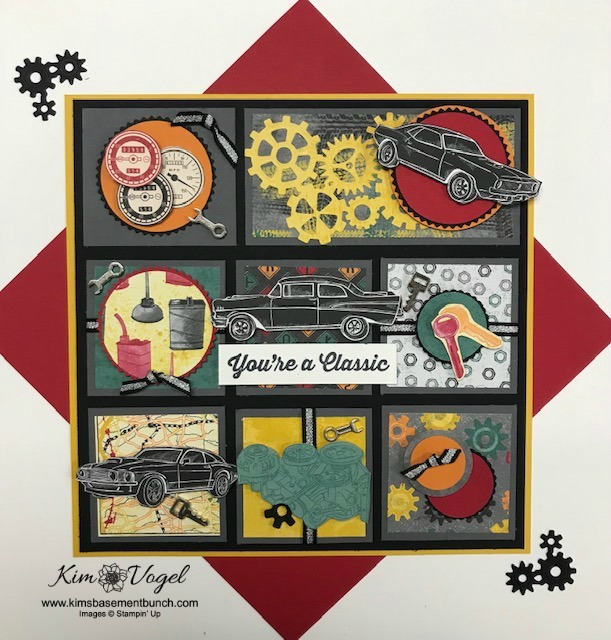 Kim's Basement Bunch Stampers Kim Vogel's Basement Bunch Stampers: Classic Garage Home Decor class - Register online and receive your kit in the mail! Classic Garage Home Decor class - Register online and receive your kit in the mail! Registration is now open for my Classic Garage Home Decor Sampler Class. This class is perfect for Father's day and I LOVE how this turned out! Your cost is only $40 and includes the shipping cost for the kit to ship directly to you in addition to lots of AMAZING products that you will use on this project with lots left over for additional things! Kit's will ship the week of April 28th. Don't delay, registration today!